Research, Not Folklore. Resume Writing & Job Search Tools. and services quote by email. Your Privacy is Guaranteed, Period. read more Hard Out There. Easy In Here. 123JobCentral started with a strong focus in the technology area, but over the years through referrals we've produced resumes for and coached thousands of clients in other professions — engineering, sales, accounting, administration, health care and many others. We apply the same meticulous approach, marketing skill and "real world" job market knowledge to produce resumes/job search tools that quickly produce results. Here Are Some Of Their Titles. Think of 123GetHired as a GPS for your job search. Today a great resume is a must — as is an "uber strong" marketing strategy. OUR INDUSTRY–LEADING 123GETHIRED PROGRAM DELIVERS FOR 95% OF OUR CLIENTS WITHIN 60 DAYS. With a custom solution for each candidate, we don't leave anyone stranded. Over the years 123GetHired has been our most successful program, expertly guiding thousands of our clients to their dream jobs. Whether you're not certain what's holding you back, can't afford to wait much longer for a job or just want an expert to lead you seamlessly through the process, 123GetHired can produce the same results for you. In about 4 business days we’ll construct a high–impact resume that builds respect and incorporates the features desired by today’s Hiring Managers. Don’t worry about providing additional content — we make it painless. We’ll even provide unlimited revisions. We don’t stop working on your resume until you’re happy. Posting To 50+ Job Boards. Post your resume to up to 50+ job boards in just 1 click. That's 1.5 million employers and recruiters. Quickly reach employers in your town or nationwide. It just takes 15 minutes to complete your profile — just like you would on any single job board. Get job alerts from supporting sites for a more magnetic search! Professional Job Search Interview Coaching.In this 1–on–1 phone conference, your unique job search challenges are solved. Break Through The Hidden Market: Do you know that in this market nearly 80% of job openings are never advertised? Your Job Search Coach will work with you to create a custom action plan for an aggressive search. Power Interviewing: Build an interview strategy that showcases your strengths, avoids "red flags" and problem solves. Even carry out a mock interview with immediate feedback. 123JobCentral actually evolved from a software consulting firm — the business of hiring and getting people hired — and we use our "insider insight" to assist job seekers facing a completely employer–driven market. This commitment, focus and expertise show in how we uniquely support each and every client — and in the results we produce. Today 32% of our business comes from referrals and 35% from returning clients.We must be doing something right. Take a look at our rave reviews. We guarantee you've never seen feedback like this! We offer payment plans that allow you to stretch the cost over 2–3 months, because we understand how it is when funds are tight. The nice thing about the payment plan is that you'll have received all your services in about 1 week and can put them to work for you before the next payment is due. 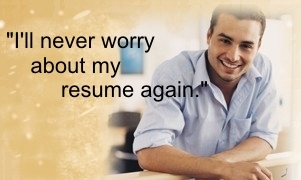 *** NEVER WORRY ABOUT YOUR RESUME AGAIN *** When you're ready to start another job search (in a few years), we'll quickly update your resume, integrating your newest job and refocusing it for your next job target. Your resume will move you right up the career ladder. Most importantly, your upgraded resume will always reflect Hiring Manager's current expectations and will never be outdated. 123JobCentral makes it easy to maintain a high–impact resume for your entire career. Sometimes it just helps to talk to someone about your job search — it's not always clear where the roadblocks are. Once we've evaluated your resume we can help you decide if our approach makes sense for you. We'll be happy to discuss your situation and answer any questions.